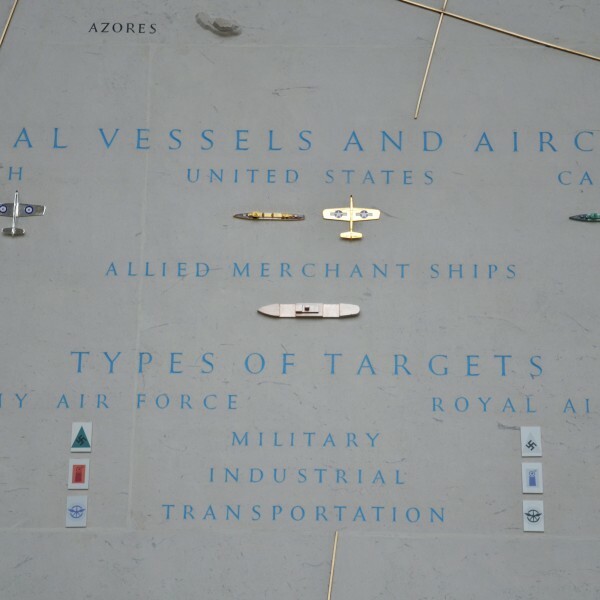 The map designed by the American artist Herbert Gute indicates the principal Atlantic sea routes, and types of naval and commercial craft which assured a supply of men and material to the European front as well as the aircraft which operated in the antisubmarine campaign, and the continuous air assault by the U. S. Army Air Force and the Royal Air Force during the second world war. 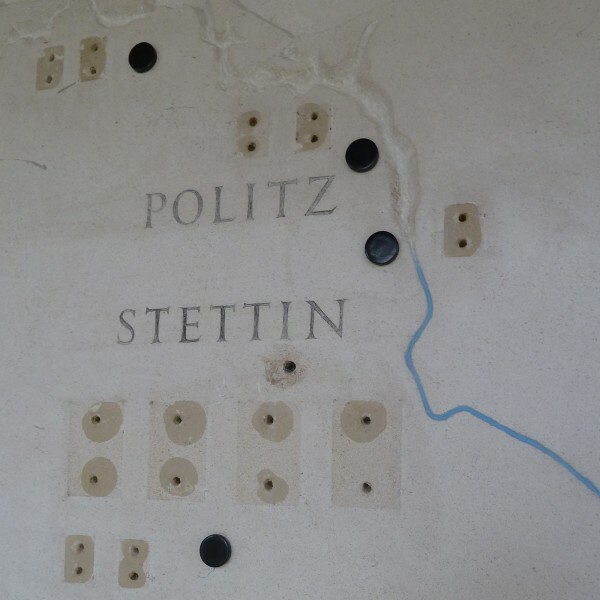 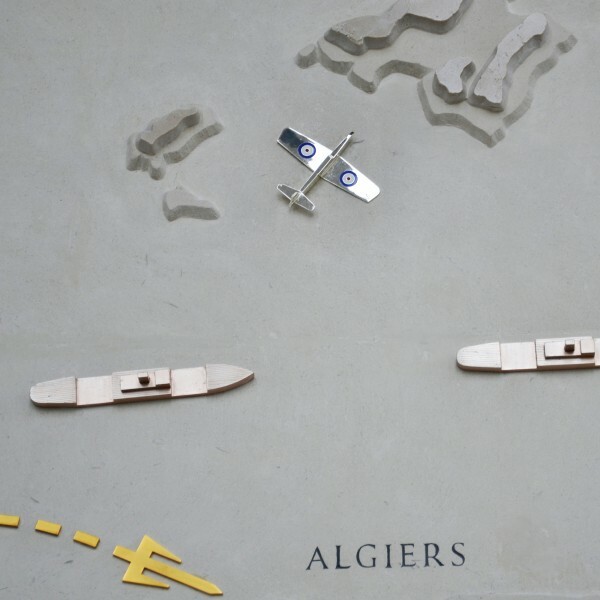 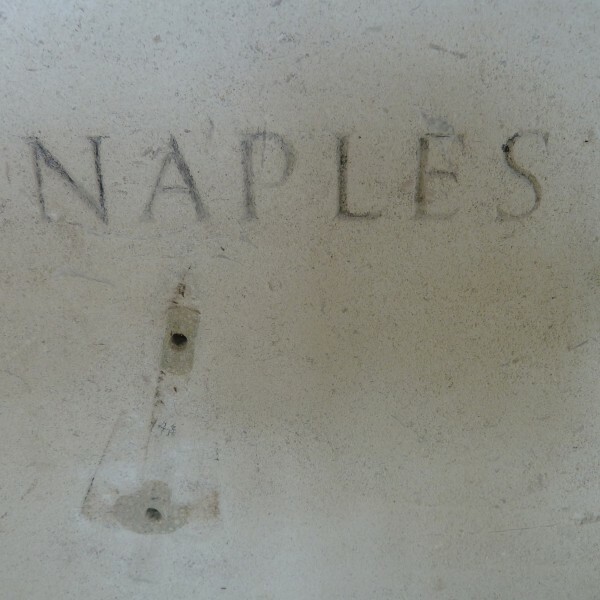 The relief background of the map is made of Portland stone and polished Hauteville, Lunel Clair and Lunel Fonce marble. 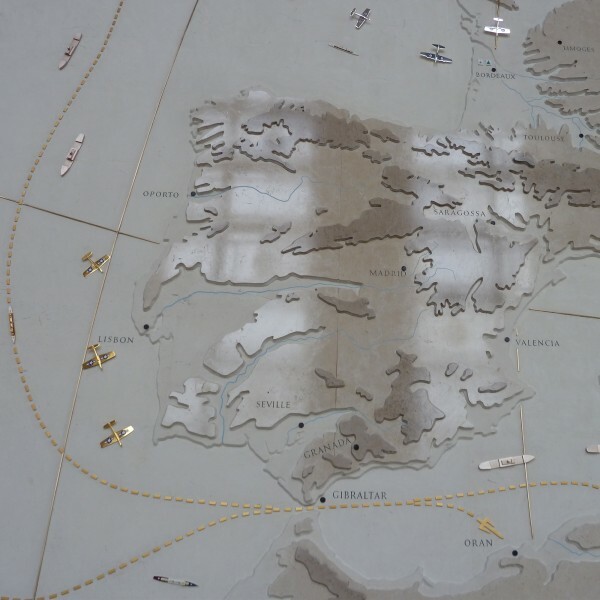 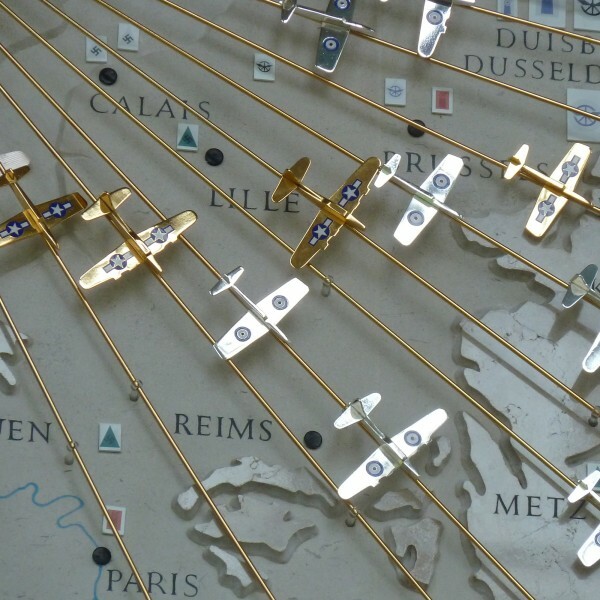 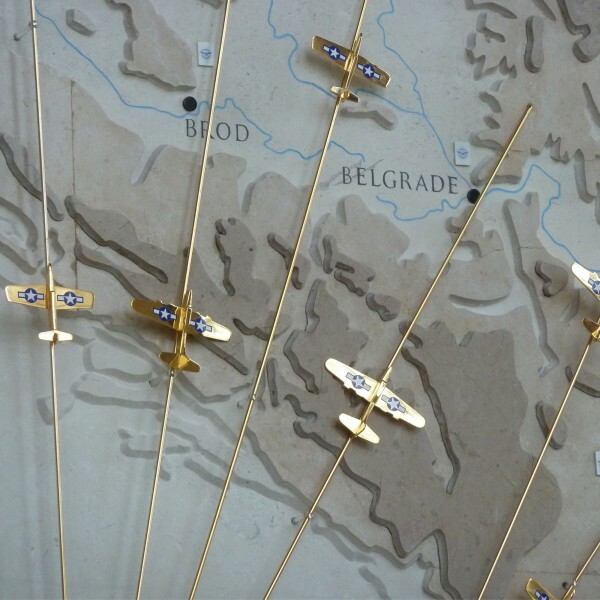 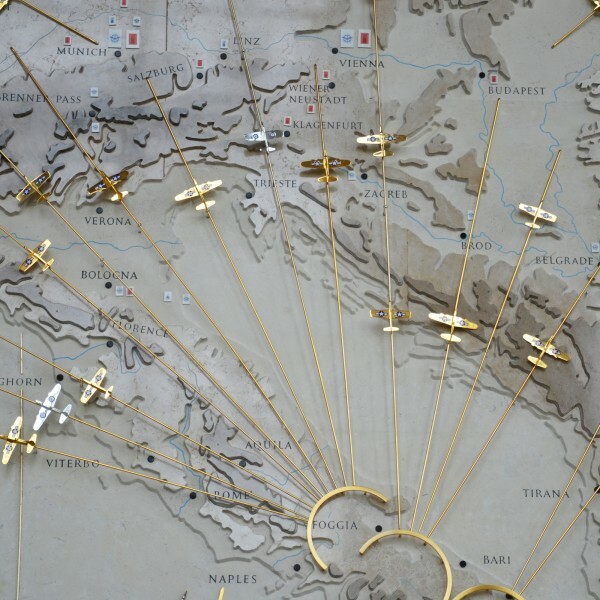 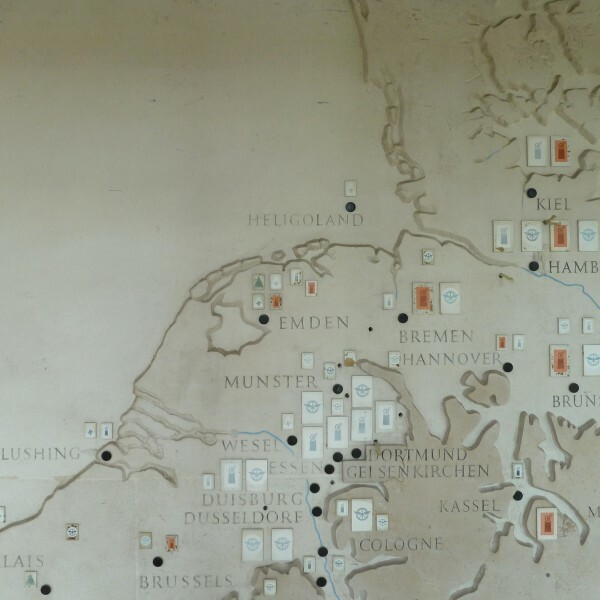 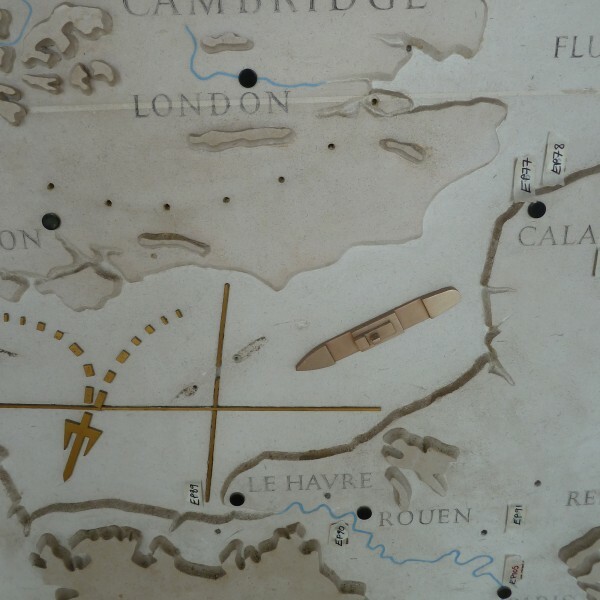 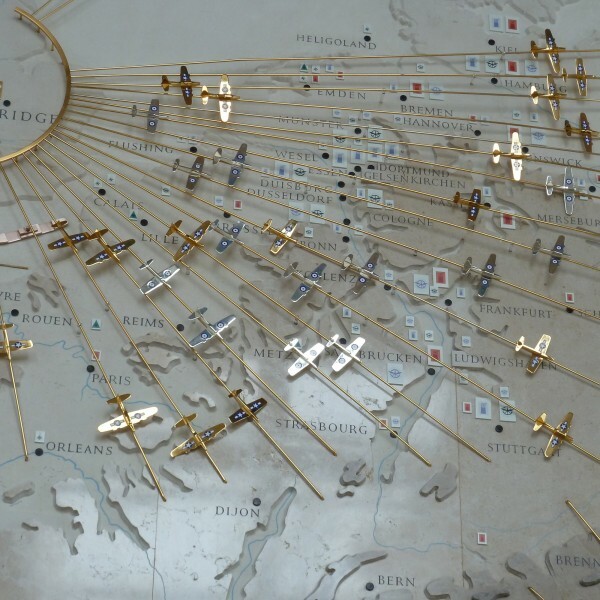 The air and sea craft which had become tarnished and damaged these were carefully removed from the map, treated and re-lacquered. 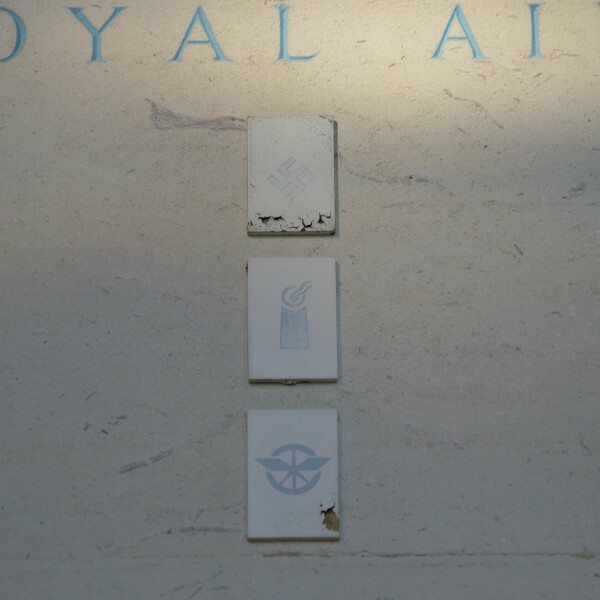 Tablets with symbols had faded and peeled to the point of illegibility, these were removed and reprinted. 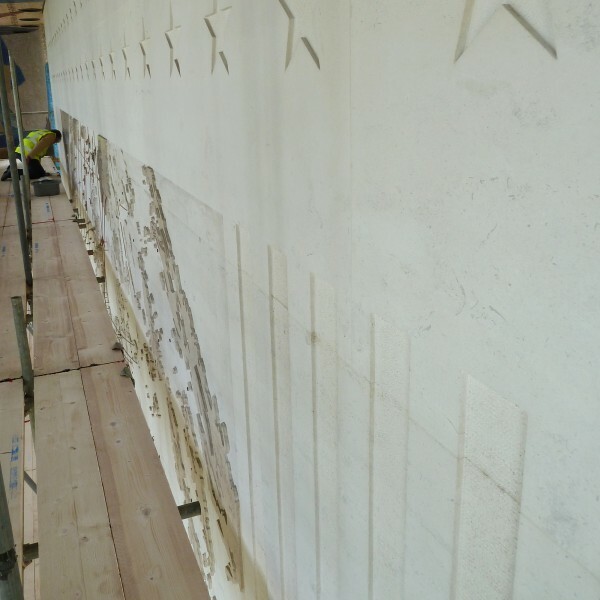 The entire stone surface of the wall was cleaned using a laponite poultice before a thin lime wash was applied to the portland stone to even out the finish. 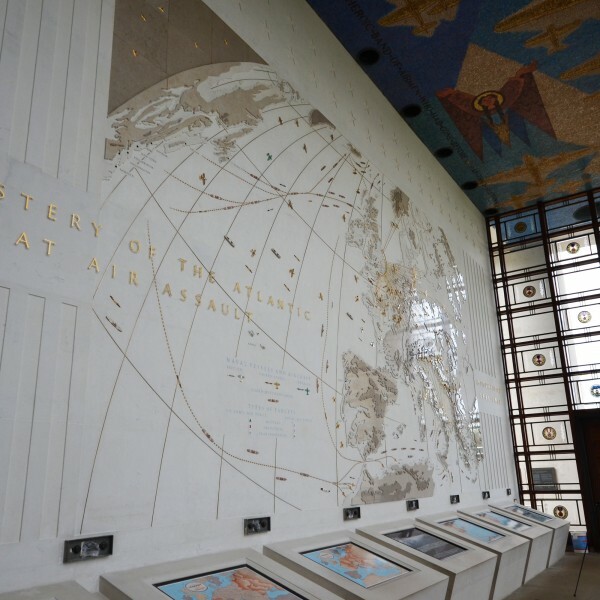 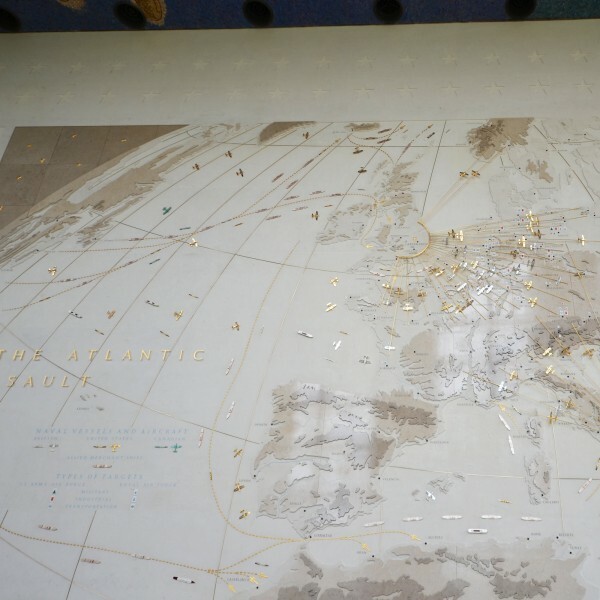 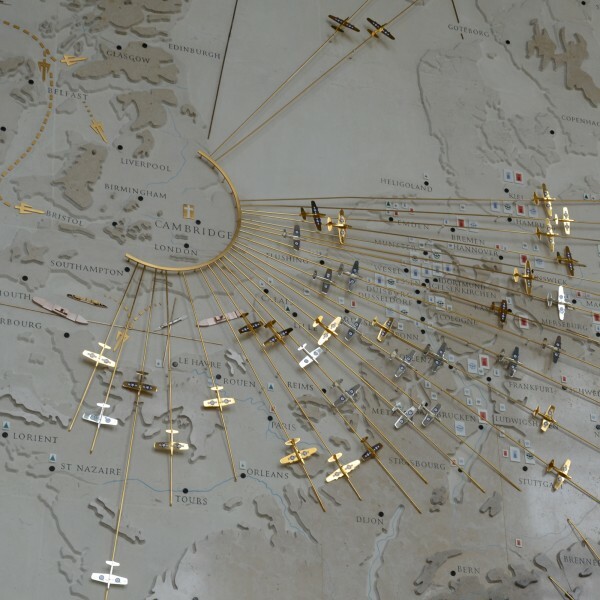 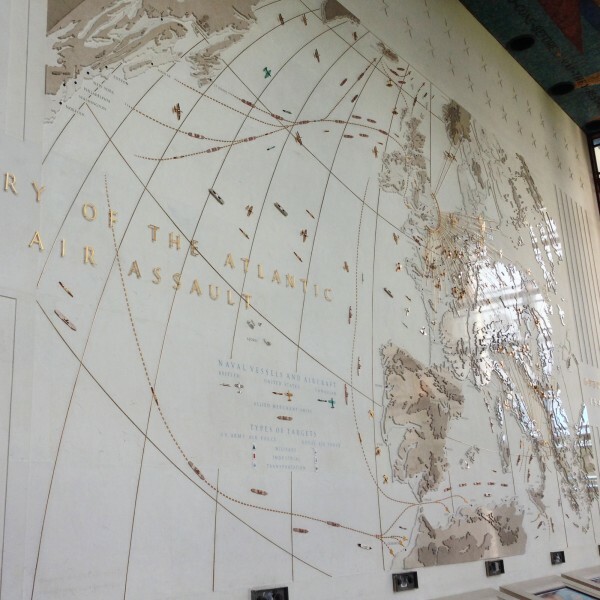 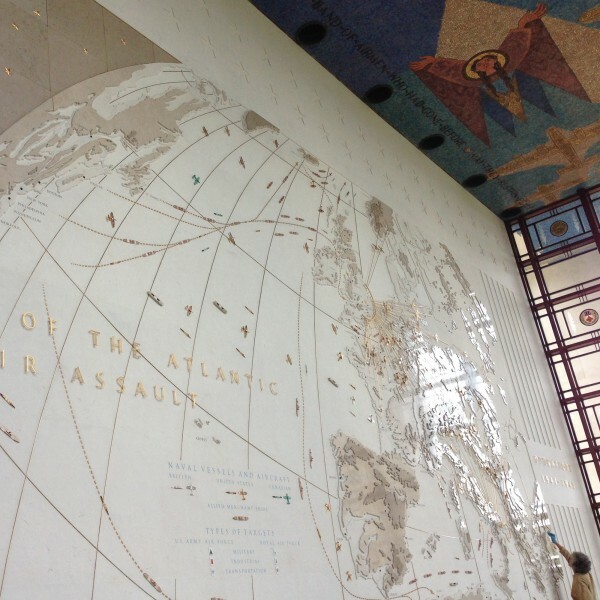 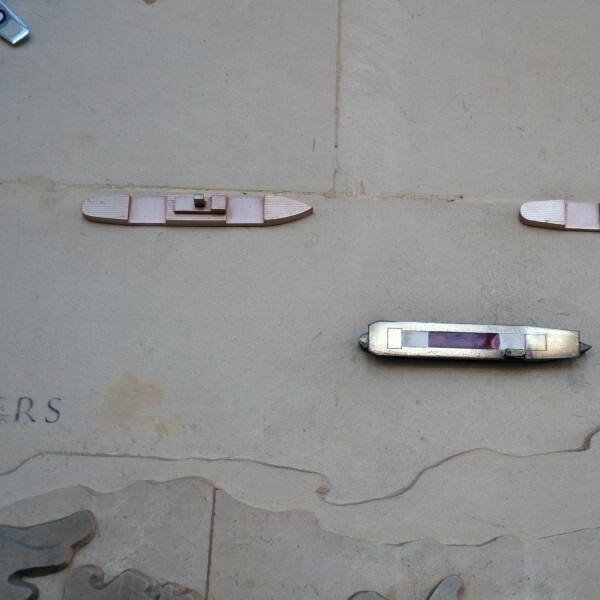 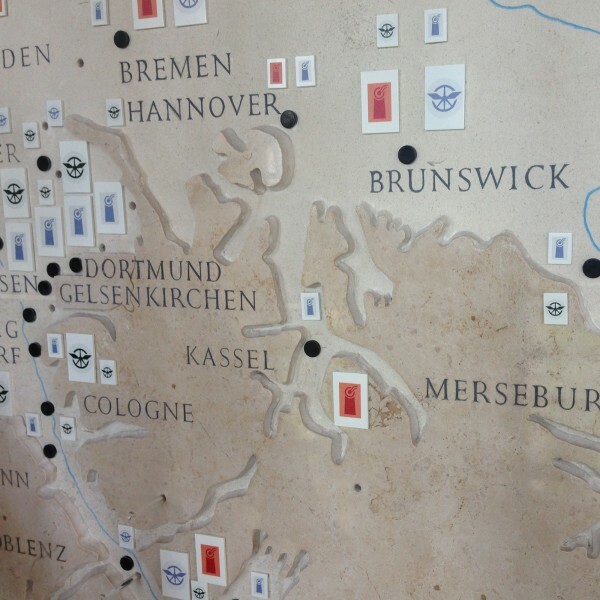 The treated metalwork and emblems were then reinstalled bringing the great map back to its former glory.